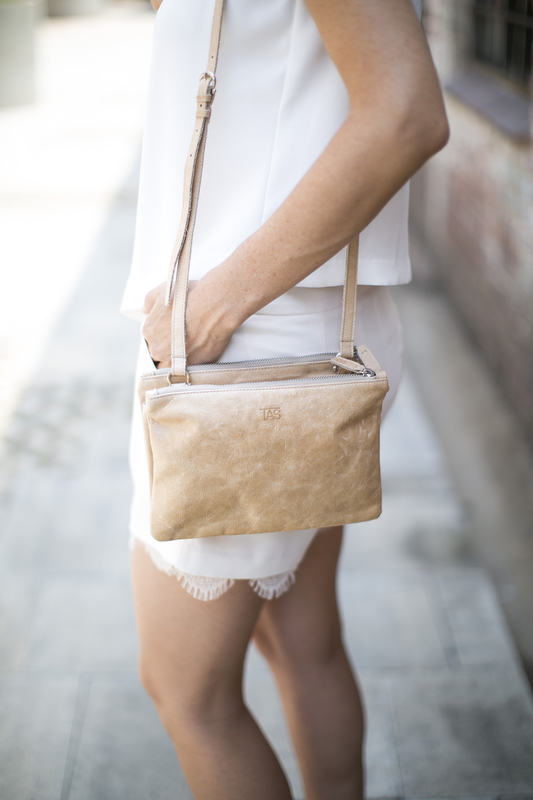 Appearing to have only two compartments at first glace, the Twin bag has a recessed third compartment in the middle. It’s the ideal bag to keep your life organised. Perfect to wear to the office or for a night out. The sling is adjustable. Available in Black Nappa cow hide or Corrected Grain Tan cow hide. Size: 18cm x 24cm. Notify me when Tan The Twin is available.